"They have no knowledge and skills to run Ukrzaliznytsya." 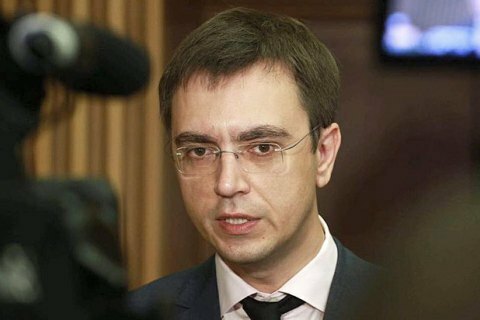 Ukraine's Infrastructure Minister Volodymyr Omelyan is convinced that the passing Ukrzaliznytsya from the Ministry of Infrastructure into direct management of the government. The policy will cause deterioration of the coordination of the development of the railway industry and eventually clog implementation of the strategic objectives, Omelyan stated in a letter to Prime Minister Volodymyr Groysman, which he posted on his Facebook page on 20 January. The minister also believes that the reassignment of UZ was the result of his criticism of the work of the company's Board because of the numerous complaints of clients and the threat of the railway's stoppage. According to him, the other ministries do not have the necessary skills to run a railway company. The minister also admitted having voted against Wojciech Balczun during the job contest for the post of UZ chief. The Cabinet of Ministers on 19 January passed the PAT Ukrzaliznytsya in control of the government to improve its corporate governance.